This is by far the most cost effective option for any small to medium sized business. For a small cost we will discuss all of your needs and requirements, from this information I will take a look through a wide selection of viable off the shelf themes for you to choose from. Once you have made your selection we can then discuss the colours, fonts, and suchlike prior to our setting up the theme with your desired changes. Please note however that other than adding your logo(s), changing the font styles, font sizes, font colours and website colours or background images, adding your page content, images, products… and any other information is not include, however don’t let that put you off as all of the themes are usually very easy to edit. Is the most popular option among customers, I will build a website completely tailored to you and your business, and the options available to you are pretty much unlimited. As with all of our offerings I will discuss every aspect of your web build with you from start to finish, all you will need to do once I have been given the green light is provide me with your web content. If however you require help with your images, written content or logo design then myself or one of my freelance copywriters or designers will certainly be able to help. This is another popular service, predominantly selected by those who require special and usually unique functionality, basically where the function code doesn’t currently exist or isn’t readily available for use. 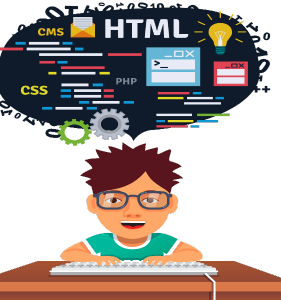 Our team of freelance coders will discuss your project with you in great length looking at the best possible tailored or bespoke CMS (Content Management System) platforms to build your website upon. Though having a completely bespoke CMS is a preferred option it will potentially cost you more than utilising the likes of Magento or Drupal which are not only tried and tested but are used by the likes of Amazon and eBay. Alternatively if you are looking for a refresh/redesign of your existing website or require additional functionality built then we can definitely help. Our freelance designers and developers have worked on a array of different web projects large and small including the likes of the BBC and Disney to 20th Century Fox and Virgin at the top end of the web spectrum. All of our Tailored and Bespoke web design services include a basic level of on-site optimisation to include meta titles, descriptions, xml sitemap(s), robot text file and both Google Analytics and Search Console setup. Apart from this all of our websites are responsive and therefore adapt in size in order to fit the multitude of boardroom, desktop, mobile and smartphone device screen sizes.